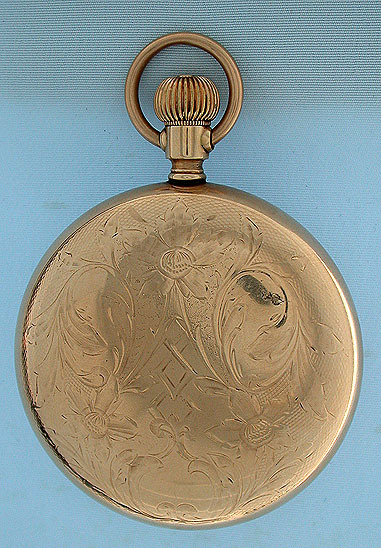 Fine Hamilton 23 jewel gold filled railroad antique pocket watch circa 1908. 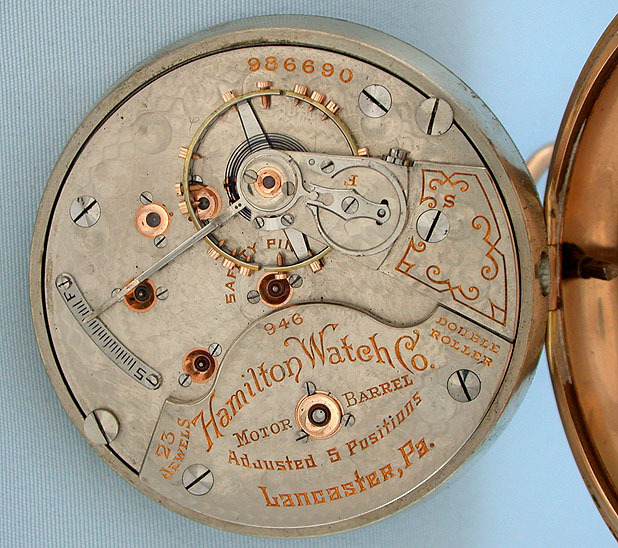 Nickel damaskeened 16/S adjusted movement with precision regulator and jewels in gold screwed settings. 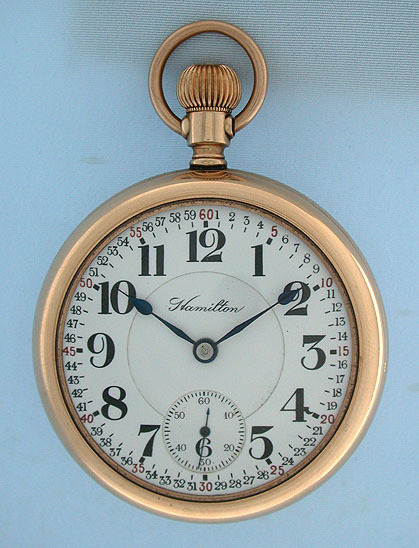 Bold white double sunk enamel dial with red and black numerals and blued steel hands. The case shows even wear.